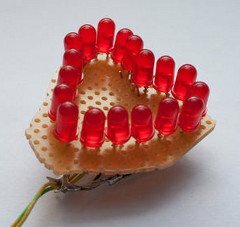 We have previously posted the the project lie detector, now here is is also a lie detector using arduino. 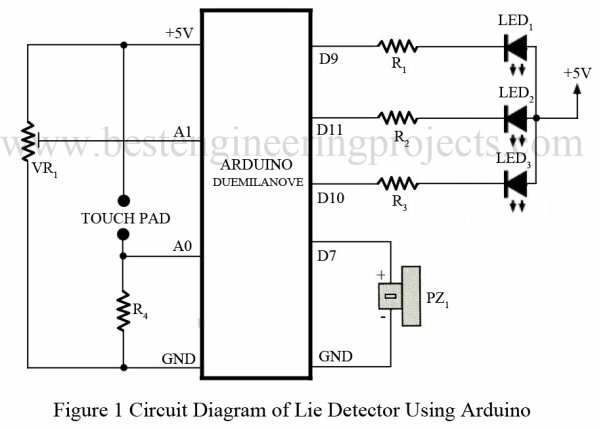 Here is a simple tutorial to build a simple lie detector which will give visual indication through LED arrangement whether the person speaks lie or truth. The project uses a arduino duemilanove or uno. So the project is based on arduino. But our final circuit will be standalone circuit without attached arduino programmer. shown in diagram. A touch Plate is connected to an analog pin.